We are a Nepali owned and operated company, which has earned a reputation as being one of the best in the country. And with 15 years experience in the tourism/trekking and rafting business, we can guarantee your satisfaction. Our products are unique, professional and affordable and all material and workmanship is of the highest quality. 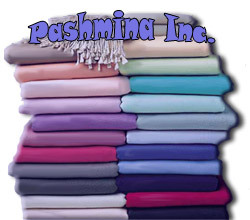 Whatever your Pashmina requirements are, with more than fourteen successful years in the import/export, we guarantee your satisfaction.